MISSION: To help underserved young people forge trajectory for their career and develop life skills through Education for Sustainable Development, Mentorship and Advocacy. We (Kayode Alabi Leadership and Career Initiative- KLCI) are more delighted to start 2019 in an amazing fashion. We were able to include Global Citizenship into our curriculum and introduce secondary school students in underserved communities to it. This is also to complement our project "Project LECT (Leadership, Entrepreneurship and Character Training). 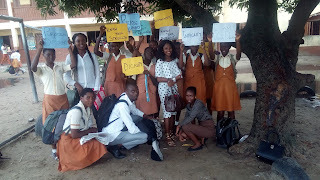 So today, we had a session on Global Citizenship with Community Comprehensive High School Students, Olambe. The camp started at exactly 9:00 am with the registration of students and their teachers from various schools in the community. 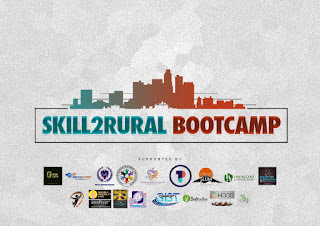 Students were briefed on the importance of the bootcamp and network with each other. The lecture commence at 10: 00am with Mr Toheeb Abdulsalam who took a session on ‘Entreprenuership’. The second session was on ‘Emotional Intelligence’ facilitated by Mr Taiwo teaching the students and other participants to be aware of other people’s emotions. Brunch break was by 11:57am during which the participants were involved in various fun exercises and icebreakers. The sessions continued after the break with Miss Victoria Ibiwoye, the founder of One African Child on ‘Servant Leadership’. Anytime I visit Lekki or some top secondary schools accross Lagos, I noticed these schools have all what it takes to teach their students 21st century skills. I entered one of the class, the class had a projector, free WiFi and conducive with air condition. I asked myself how much would a student pay to enjoy many of these Facilities? Over =N=300,000 per term (3 month) which is equivalent to $1000 (Excluding fee for extra-curricular). I looked at myself and I said, "The community where I was raised, students do not have access to such facilities." Let's forget the facilities, "can they even afford $3 for feeding ?. The children of you and I may find it difficult to attend such schools. I visited a school in a particular area in Ogun State and I saw the teacher hustling with a student to ensure he pays his school fee. You may want to ask how much 1000 Naira I.e. equivalent to $3. 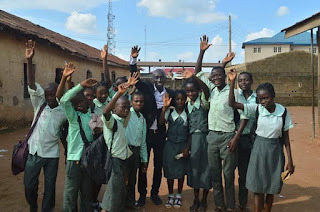 Having worked with Project LECT (Leadership, Entrepreneurship and Character Training), a mobile mentorship and Career Symposia to help secondary school students in underserved communities develop life skills. We have identified that there is need to help students develop 21st century skills. This was gotten through our monitoring and evaluation carried out at the end of each of our sessions. The evaluation enabled us to develop project that would enable us scale and make more impacts. 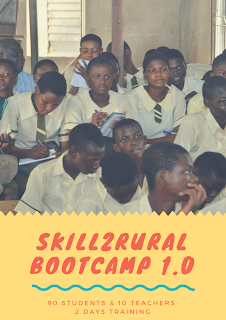 We came about "Skill2Rural Bootcamp" a platform that uses volunteer mobilization approach to reduce inequalities by empowering 90 secondary school students and 10 teachers in rural communities with 21st century skills such as (Design Thinking, Problem Solving, Emotional Intelligence etc.) needed to integrate into the workforce and prepare them for the future of works. Partnership and collaboration is key to ensuring sustainable development and to scale. Today, we took another step towards ensuring that young people in underserved communities have access to mentorship and counselling. Tripple-B Leadership Academy (TBLA) in collaboration with Kayfactor Leadership and Career Academy organized a mentorship program for Ajeromi Secondary School Students, Ajegunle. We had a General Session, where our facilitators talked about Personal leadership which includes developing a vision and finding out your uniqueness in today's world. One major point the facilitator made was you have two things that everybody has "Time and Talent and you are the one to decide how you want to use it." Tripple - B Leadership Academy in Partnership with Kayfactor Leadership and Career Academy (KLCA) set to reach out to secondary school students in Ajegunle. Ajeromi/Ifelodun popularly known as Ajegunle is the second most populated local government in the federation. 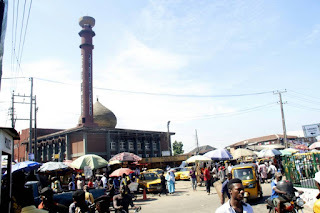 It is also known for its notorious but then Ajegunle is not as bad as we thought. The strength of the area lies in its youth which Secondary School Students are part. Tripple-B Leadership Academy (TLA) founded by Bridget Adazie will be partnering Kayfactor Leadership and Career Academy (KLCA) to organize a Counselling program for Students in Ajeromi Secondary School, Ajeromi/Ajegunle, Lagos State. Date: July 2nd, 2018. With collaboration we can reach out to more people.